Equine Power Float - Earl Grey Veterinary Services P.C.Ltd. Behavior: dropping oats or feed while eating. Chewing at the bit or tossing head. 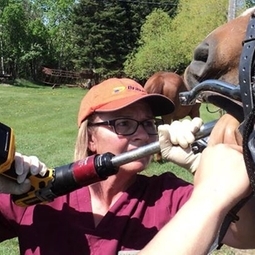 Your horses dental health is very important to having a healthy horse. Regular dental flotation can prevent problems down the road.